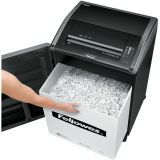 Fellowes Powershred 485Ci 100% Jam Proof Cross-Cut Shredder, TAA Compliant - The Fellowes® Powershred® C-485CI provides superior performance, high speed and security for large offices with 10 or more users. NEW 100% Jam Proof System eliminates frustrating jams by preventing overloads and powering through misfed paper. 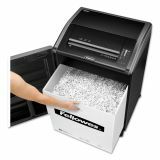 Time-saving sheet capacity indicator measures paper as you shred to ensure maximum capacity at every pass. Auto-Oil™ coats the cutters for you to enhance performance and extend shredder life. 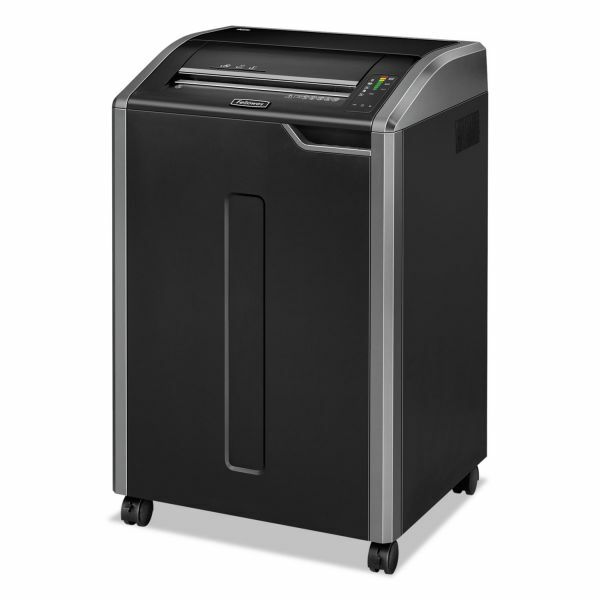 SafeSense® Technology stops shredder immediately when hands are too close to the opening. Heavy duty 1.9 HP motor shreds 24-26 sheets per pass into 5/32" x 1-1/8" cross-cut particles. Durable steel cutters accept staples, and small paper clips, as well as CDs and credit cards through a separate safety slot. Extra wide 16” paper entry allows continuous feeding of 132-column paper. 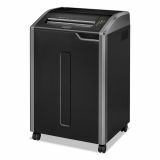 Includes a 37.5-gallon pull-out wastebasket for easy waste disposal and auto start/stop for quick, convenient shredder operation. Shuts off automatically and alerts operator when wastebasket is full or door is ajar. 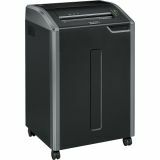 Door offers convenient holder for oil, manual, and shredder bags. 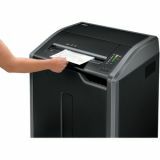 Extra wide 16" paper entry shreds 30 sheets per pass into 5/32" x 1 1/8" cross-cut particles (Security Level P-4).